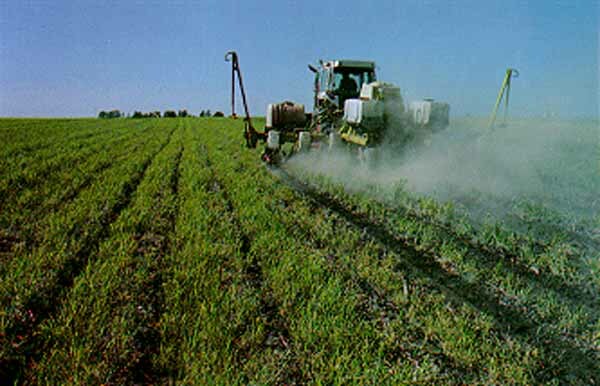 Establish vegetation in small areas of isolated erosion. The grass, trees, or shrubs provide surface cover to stop raindrop splash and slow water flow. 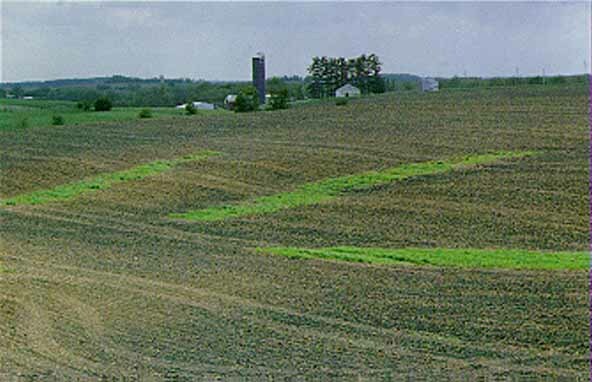 Plant crops, including cereal rye, oats and winter wheat, to temporarily protect the ground from wind and water erosion during times when cropland isn’t adequately protected. 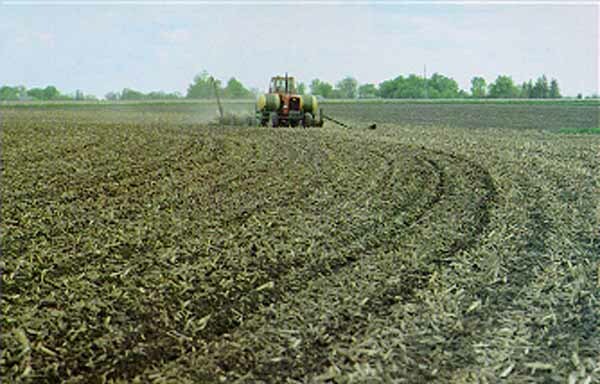 Leave last year’s crop residue on the surface before and during planting operations to provide cover for soil. 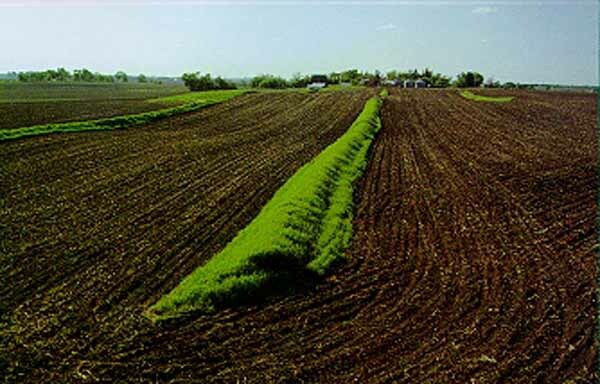 Crop residue shields soil particles from rain and wind until crops produce a protective canopy. 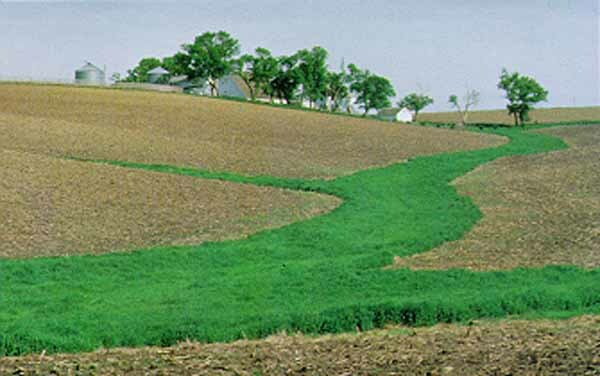 Build an embankment across a depressional area of concentrated water runoff to act similar to a terrace. It traps sediment and water running off farmland above the structure. Grade and shape a natural drainageway to form a smooth, bowl shaped channel, and seed to sod-forming grasses. Runoff flows down the grassed drainageway, preventing erosion and the formation of gullies.